Ferraris are born and bred on the race track. Few of Enzo Ferrari’s pransing horses have evolved the way the legendary Ferrari 512 Boxer did. Designed as a mid-engine road car, it came about almost against his will. Yet, it had an incredible impact on how Ferrari cars were to evolve and flourish as a world class Exotic Super Car. 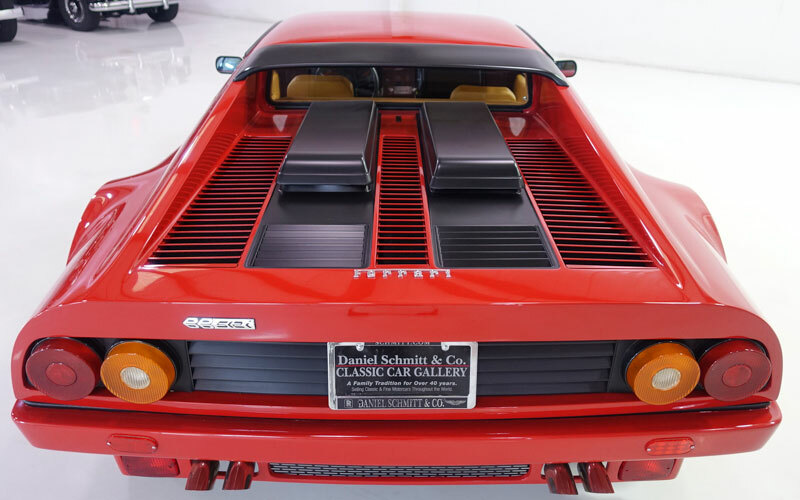 This week one of the rarest of the 1983 Ferrari 512 BBi Boxers is being offered for sale in the gallery at Daniel Schmitt & Company in St Louis, Missouri. 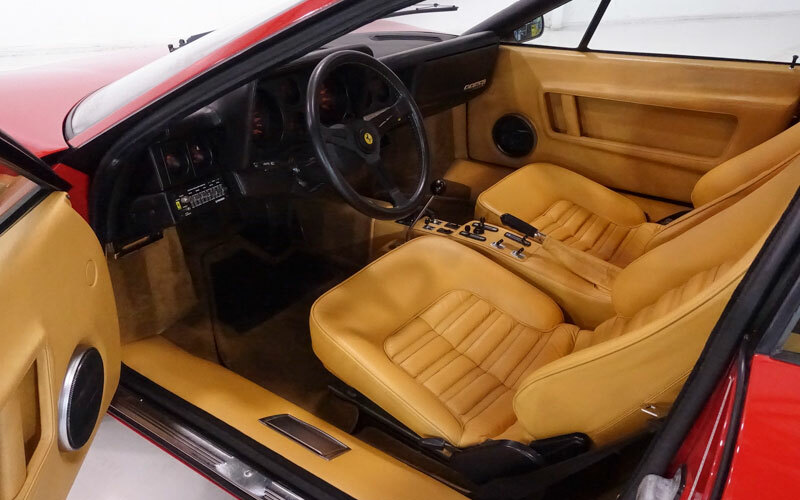 Not only is this Ferrari 512 BBi rare in its own right, but they tell us it has just 4,989 kilometers on the odometer. It is virtually still brand new. (Be sure to view dozens of detailed photos at the Daniel Schmitt & Company ad page.) It is now for sale for the first time to the public after being under the same owner for the past 25 years. A fresh opportunity such as this happens rarely in the world of exotic super cars. 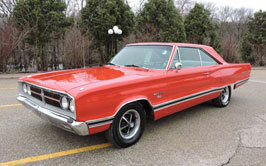 This spectacular example was sold new through Continental Motors in Hinsdale, Illinois. That, in itself, is an amazing story. 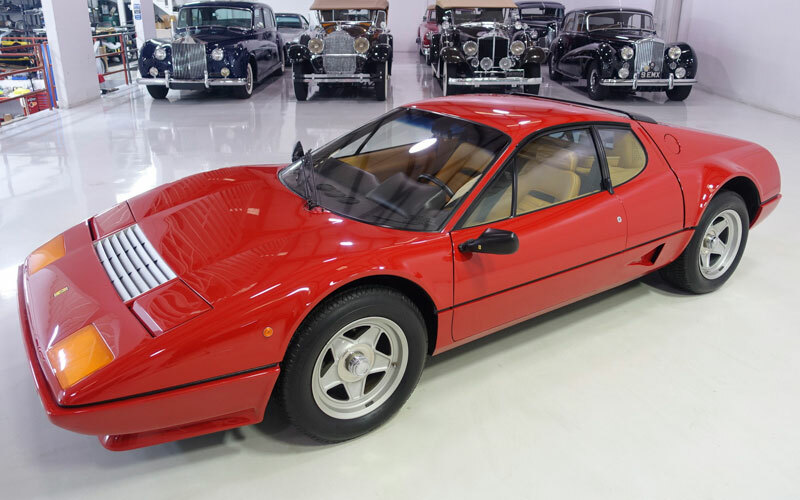 Since none of the Ferrari 512 BBi Boxers were ever exported to the U.S., the only way Continental Motors could have sold it here new was to order it from Modena, and then have it converted for U.S. EPA and DOT specification after it arrived here in the U.S. They tell us it retains its numbers matching 5.0L DOHC Flat V-12 engine. It comes with excellent documentation including original books, jack, previous invoices, a written report by Marcel Massini, factory fitted luggage, and more. The options include factory air conditioning, power windows, Nardi steering wheel, Carello JOD fog lights, and 15″ alloy knockoff wheels. 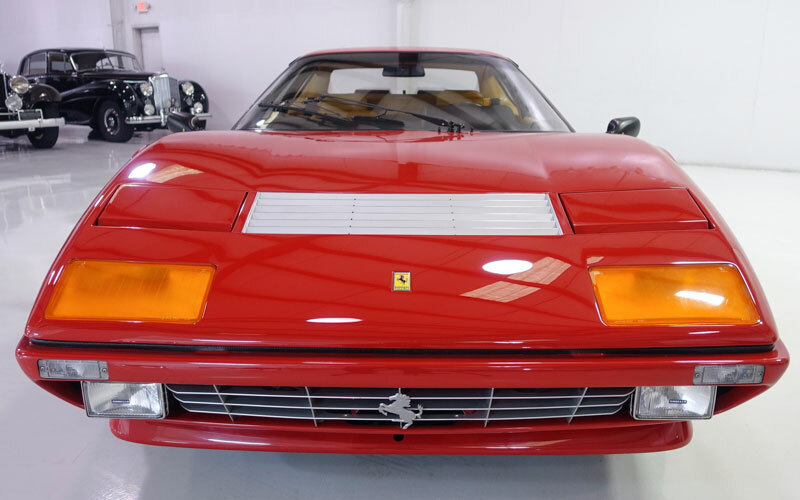 With best in class wins at Ferrari Club of America concours events on more than one occasion, this Ferrari 512 BBi Boxer has been documented by noted Ferrari historian Marcel Massini. Daniel Schmitt & Company tells us a full engine out service was performed in July 2018, ensuring that it performs as well as it presents. Enzo Ferrari never intended to produce a mid-engine designed car. But when Lamborghini came out with the Miura, his designers began to persuade him that the mid-engine would allow better balance. Then when the Porsche 935’s embarassed Ferrari at the 24 Hours of Lemans. He had to give in to the concept of a mid-engine designed car. Initially released in 1973, what was later to be called the Ferrari 512 BBi Boxer first appeared as the Ferrari 365 GT4 BB, replacing the famous front engined V-12 Daytona. It was the first in a series of Ferraris to use a mid-mounted flat-12 engine. The Boxer was designed by Leonardo Fioravanti from the house of Pininfarina. The “BB” in the name was thought to reference Berlinetta Boxer. But in an interview with Fioravanti, the English tome known as The Road Rat found out that “BB” was a tribute to 1970’s celebrity icon Bridgit Bardot. He explained that it was a secret among the Ferrari designers of the day all of whom were admirers of the French movie idol. After all, he said, the 512 was neither a Berlinetta, nor a boxer engine. Indeed, it was a Flat 12. Automotive historians have often noted the discrepancy without ever knowing “why.” Now you know. The 365 GT4 BB was updated as the Ferrari 512 BB in 1976, in tribute to the Ferrari 512 racer. The 512 monicker stood for the Ferrri 5 Liter, 12-cylinder engine. The new mid-engine V-12 for 1976 had been enlarged to 4,943 cc with an increased compression ratio of 9.2:1 and rated at 360 horsepower. The 512 version also gained a front spoiler and NACA ducts in the sheet metal just ahead of the rear wheels to ventilate the rear brakes. Then in 1981 an innovation which would introduce the Boxer to the U.S. came about. A Bosch K-Jetronic fuel injection system was introduced to the Ferrari 512 in 1981. Thus the BBi came into being. The fuel injected motor produced cleaner emissions and provided the street version both better performance and drivability. It was never documented by the factory, but the street whisper was that the Ferrari 512 BBi Boxer was Ferrari’s first 200 mph Super Car. With the introduction of the Bosch fuel injection the factory 512 Boxer could be upgraded to U.S. emissions regulations. Up till then the BB was unable to be sold in the U.S. After 1981 it was now possible for aftermarket companies such as AmeriSpec to fit the 512 BBi with catalytic converters and bring them up to U.S. spec. In all, 1,926 Boxers (both BB and BBi) were built over an eight-year run, none of which were officially exported from Italy to the U.S. Only 1,007 512 BBI’s were built. They were the last Ferraris built entirely by hand. The Ferrri 512 BBi production would end in 1984 when the Ferrari Testarossa was introduced. The Testarossa continued to use the flat V-12 engine. Daniel Schmitt & Company have prepared a short video walk-around tour of this legendary Ferrari 512 BBi Boxer. Follow this link to the Cars-On-Line.com newsletter this week to view the video.